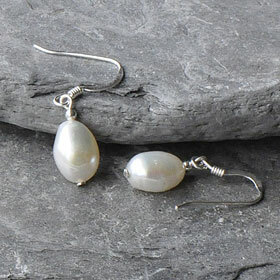 Designed to match the Lyric baroque pearl necklace. 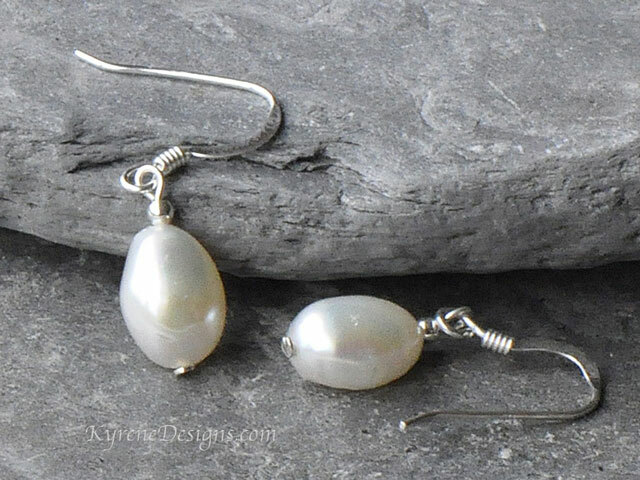 Casual style, creamy white baroque pearl drop earrings on sterling silver hooks. Length: 25mm overall to top of hook. Pearl 9-10mm. Options: ask to swap to silver-plated clips, or extreme hypoallergenic hooks.